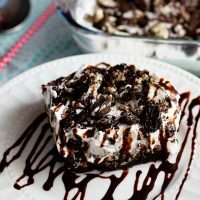 Cake like brownie layered with Oreo pudding and topped off with whipped topping and crushed Oreos drizzled with chocolate fudge are the makings of this most delicious Oreo Brownie Poke Cake dessert! When my family has a get together there is almost always dessert involved. And most of the time it includes some type of chocolate. I mean I think all of us love chocolate and especially my nephew Weston. And you know we have to make sure he has his chocolate. I would not be a proper KiKi if I didn’t! This Oreo Brownie Poke Cake was a last minute creation. I was in charge of desserts for Easter this year. 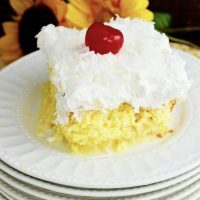 I already had made the Almond Strawberry Layer Cake and a Coconut Cream Poke Cake planned for Easter and I just had to make something chocolate. After all Weston would have a fit if we didn’t! Yes go ahead and blame the 5 year old! This is not my attempt at having my chocolate fix – honestly he does LOVE it! So into the pantry I GO! 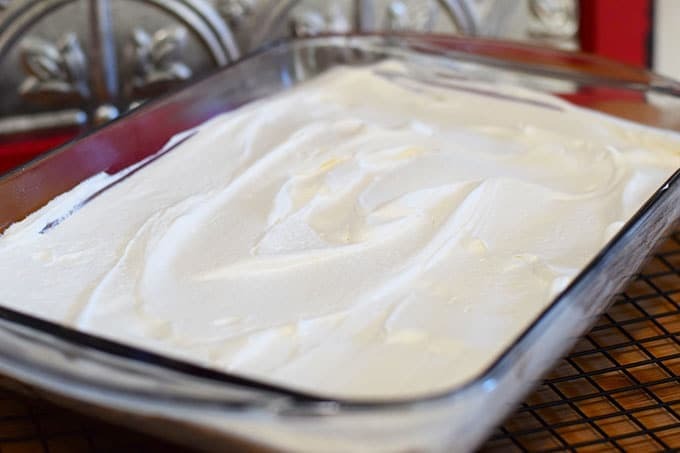 I knew I had a brownie mix, but I wanted to make this Easter worthy, so it required taking this up a notch to make a GREAT DESSERT! Step 1. First of all bake the brownie according to the “CAKE LIKE BROWNIE” directions. This will require oil, water, and eggs. 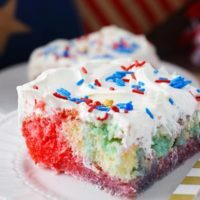 Mix those up but don’t over mix them and then bake them for whatever the box says. This is usually at 350 degrees unless you are using a dark or glass pan then 325 degrees for around 25 to 30 minutes. Step 2. Remove and let this cool for a few minutes, while you make the pudding. For the pudding I us a 4.2 ounce box and 2 cups of milk. Put in my stand mixer with the whisk attachment and let it whisk for about 3 to 5 minutes. 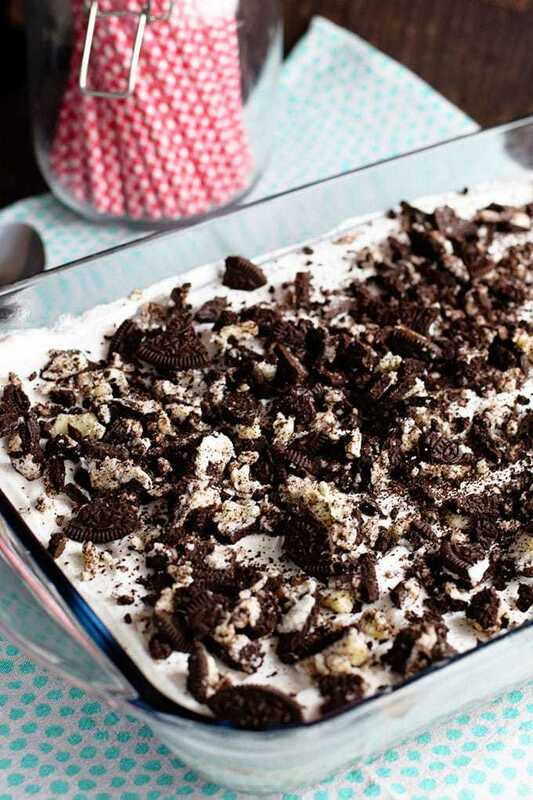 TIP: If you do not have Oreo pudding, use vanilla or chocolate and crush in a few Oreos or leave them out of the pudding and it is still delish! Step 3. While still a little warm poke holes in the brownie with a wooden spoon handle or straw. Spread the pudding over the brownie and let cool completely. Step 4. Once completely cooled add on whipped topping and chopped Oreos. Store in the refrigerator until ready to serve. 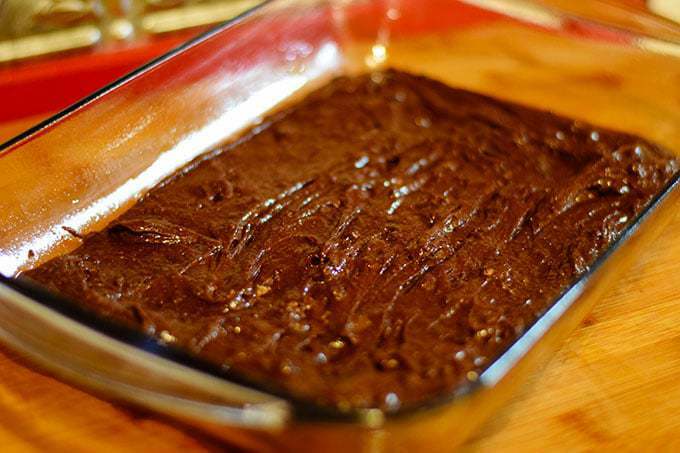 Slice and Drizzle Chocolate over servings. WARNING this DESSERT is Weston Approved and therefore Chocolate DELICIOUSNESS! 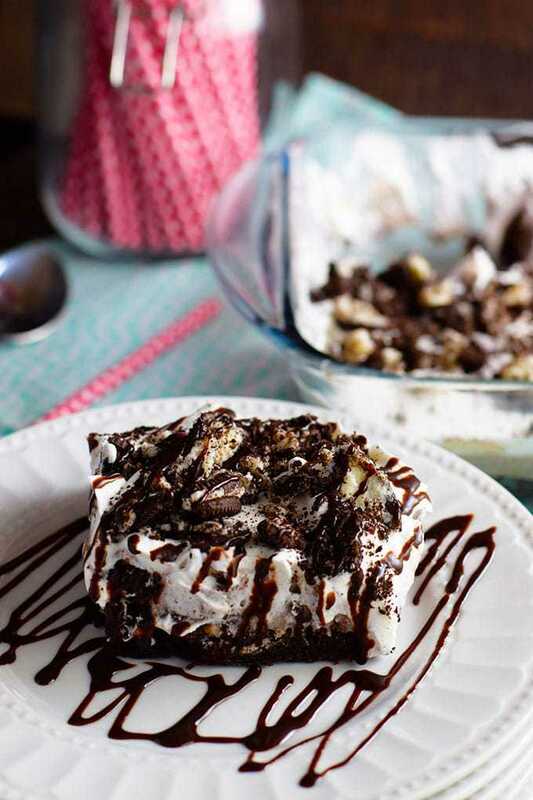 Cake like brownie layered with Oreo pudding and topped of with whipped topping and crushed Oreos drizzled with chocolate fudge are the makings of this most delicious Oreo Brownie Poke Cake dessert! In a 9 X 13 baking pan , bake brownie according to the "CAKE LIKE BROWNIE" directions. This will require oil, water, and eggs. Usually at 350 degrees, unless you are using a dark or glass pan then 325 degrees for around 25 to 30 minutes. Let cake cool down a bit. 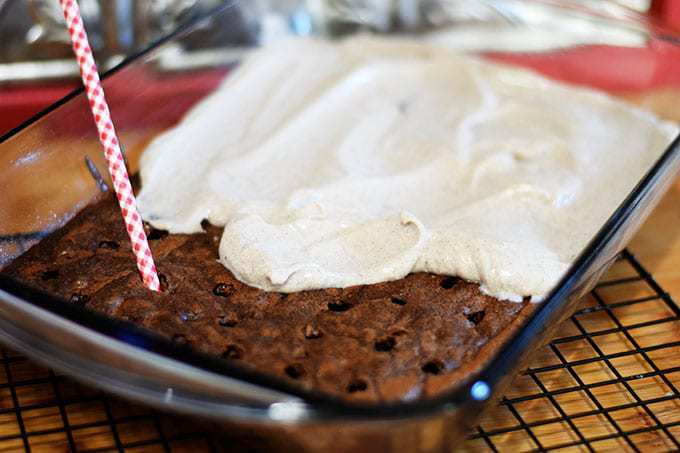 While brownie cake is still warm poke holes in the brownie with a top of a wooden spoon or a straw. Meanwhile in a stand mixer with whisk attachment or hand mixer, whisk pudding and milk for 4 to 5 minutes until set. While brownie is warm pour pudding mixture on top. Let cool completely. Refrigerate for at least 1 hour. 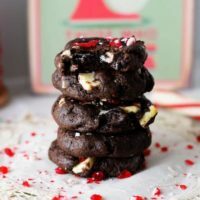 Cut to serve and drizzle with chocolate fudge or syrup. 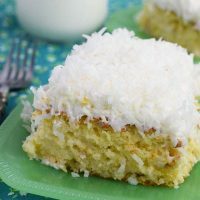 This recipe is also on Meal Plan Monday and Weekend Potluck.